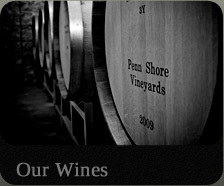 Penn Shore Vineyards is located at the center of Pennsylvania’s grape-growing region. Located along the Lake Erie shoreline, just a few minutes drive from Interstate 90 along picturesque Route 5. Visit us today! 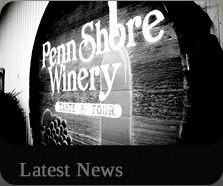 Penn Shore is one of the largest and longest established wineries in the state. 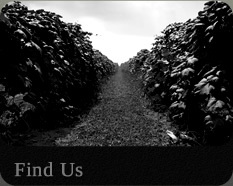 We strive to produce only the finest varietals and blends from European and American wine grapes grown nearby. 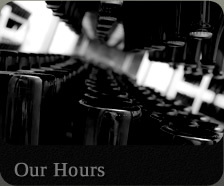 Our white wines are light and delicate and are meant to be consumed while they are full of youth and fruitiness. On the other hand, our French-American hybrid reds are made to be full and robust. These characteristics usually take a few years of carefully supervised aging to develop, and they will continue to improve as the years go by. During the summer months our vineyard patio is host to numerous band events while we feature our summer concert series “Music in the Vineyards”. We try and bring to you entertainment from all different types of music genres in order to suit the wide arrange of music tastes out there. While visiting for our summer concert series you’re able to enjoy wine by the glass or bottle while lounging in your favorite lawn chair or blanket. We really feel as though music and wine is a perfect pairing. In the fall months the grape-growing region is in it’s prime. A drive through our wine country will tease you with the overwhelming scent of the grapes as well as awe you with their beauty. The fall is our busiest time of year, and once you experience it you will undoubtedly understand why. September is also the month that hosts the annual North East Wine Festival, which is well worth a visit.